Space Case Titanium grinders are able to be lighter than other grinders while also being strong enought to last. These super tough grinders resist wear and tear and even reduce the chance of finger prints or smudging build up on your grinder. 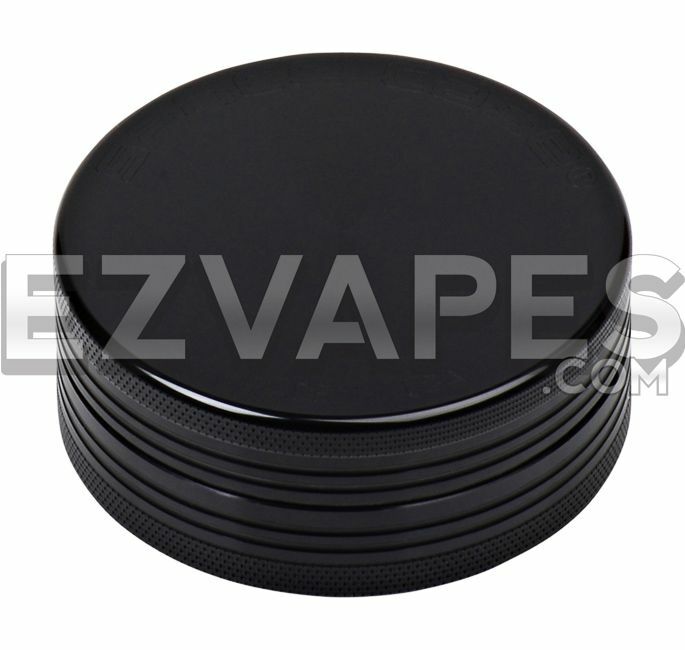 The 2 piece has a magnet in the lid that keeps the grinder shut, avoiding any spilling of your material if it is dropped. The Large size is 90mm (about 3.5") which gives you a large amount of space to grind a large amount of material at once.